There are hundreds of backpack options out there – some made in the U.S. and many more made internationally. Whether you need one for day hiking, camping, skiing, or some serious alpine adventures, the options are virtually endless. We set out to help you make sense of it all. We did the research to find the best backpacks that are made right here in the USA. 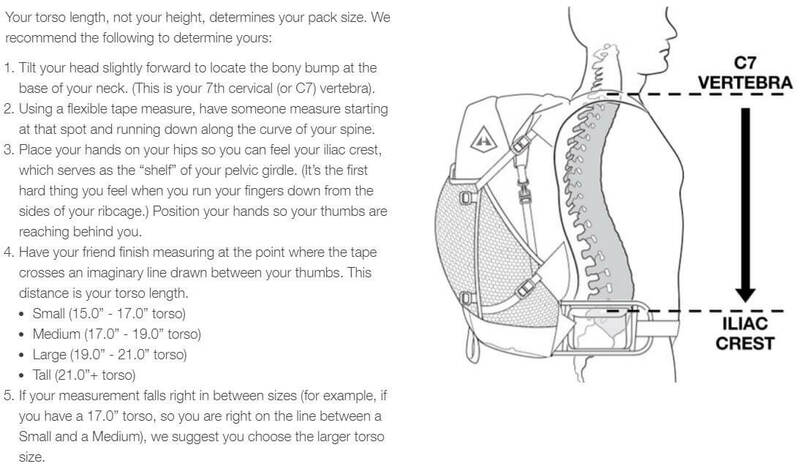 Check out our findings below, along with the factors we considered in our research and a helpful diagram on choosing the right pack size for you. Overall, we found several manufacturers making super high quality backpacks all around America. After evaluating each one of them against our criteria, we ended up with five backpacks that we consider to be best in class. These manufacturers are making the highest quality packs all over the U.S., all the way from Maine out to Oregon and Washington. We’ve outlined each one below along with a much more in-depth analysis as to why we liked each one and the factors we considered in our research. Check out some additional details for each of our top picks, along with what we liked and didn’t like about each one. A lot of people don’t need a crazy nice alpine back like the CiloGear below, which is why we searched for a hiking backpack that is super versatile, affordable, and shines in terms of overall quality. That’s when we found the ULA Ohm 2.0. This pack stood out among the competition for its light weight, strength, comfort, and weight distribution – all qualities (along with customer service) that ULA’s Chris McMaster says their customers love most about them. Starting with weight and strength, this pack is made from the newly developed ULA 210 Robic fabric, which is some of the strongest materials ounce-for-ounce we’ve seen on the market (even they say so too – talk about confidence). Sewing their packs in the U.S. helps them make innovations like this Robic fabric and introduce new ideas quickly, says McMaster – they can “control the production and keep things simple.” Moving on to comfort and weight distribution (which go hand-in-hand), the shoulder straps, hip belt, and other straps are all well padded and comfortable. The hip belt fits nicely on a lot of different body frames and stays steady while on the trail, helping keep weight off of your shoulders, which is particularly harmful on long hikes. The compression system on the Ohm 2.0 works really well, easily compressing gear vertically, horizontally, and over the top. Overall, you can’t go wrong with the Ohm 2.0 as your go-to pack for everything from beginner to slightly advanced trips. Handmade in Colorado, the Rover Pack from Topo Designs is the perfect combination of simple and functional, while still maintaining a high degree of comfort. 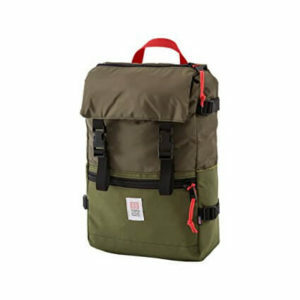 In terms of the construction of the pack, the base is made from 1000D Cordura (which is very durable), and the outer cloth is lightweight and water resistant. The shoulder straps are very comfortable as well, even when the pack is loaded to the top with gear. It has a couple of exterior zipped pockets for easy access to some smaller items, along with a couple of side pockets for water bottles or other gear. It has a drawstring closure and an over-the-top flap with some plastic buckles, which we found to be more than enough to keep your gear safe and dry. If you need to bring a laptop with you, the Rover Pack also has a laptop sleeve that comfortably fits most 15-inch laptops. 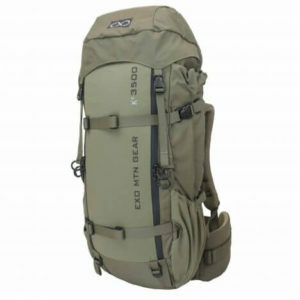 Overall, this pack is a great rucksack or day pack option for a short trip or hike. Dimensions: 11″w x 18″h x 5″d. Holds 990 cubic inches (16.2 L). This 45L WorkSack pack from CiloGear is made for serious alpine climbers. Made in their factory in Portland, Oregon, this backpack has been voted #1 by the American Alpine Institute and several other well-renowned climbing and hiking authorities, and for good reason. It’s very light, but has some serious strength to carry the heaviest gear and last for a long time. In terms of weight, the designers of the pack followed the Gu rule: if it weighs more than a pack of Gu, then it doesn’t make the cut. That essentially means that they don’t use any heavy components in the pack construction. The comfort level is off the charts too, even when the pack is completely full – this pack is made for alpine climbers who are doing the hardest routes. The 45L WorkSack comes with a removable aluminum stay and framesheet, hip belt, sternum belt, strap set, and bivy pad. It comes in seven different colors and three different sizes, which you can choose depending on your torso size (sizing chart on their site). Weighs a total of 4.1 lbs with all components intact. 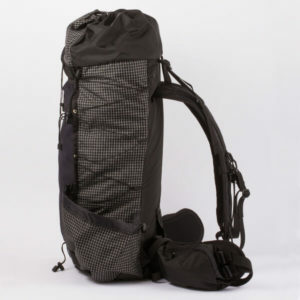 The K² 3500 pack from Exo Mountain Gear is a total behemoth of a pack. The price tag is higher than other typical hunting packs, but the quality is out of this world, which we believe makes it worth it. The material, 500d Cordura and 420d Diamond Ripstop, is some of the most heavy duty fabric on the market. The K² 3500 has 14 different compression straps to secure gear inside and secure additional gear, game bags, or anything else to the exterior of the pack. The pockets on each side have a couple of different benefits we really liked. First, the full length side pockets make it super easy to carry a tripod, rifle, spotting scope, tent poles, or other lengthy items. Second, all of the pockets have elastic entry (vs. traditional zippers), which make them really quiet and easy to access. The pack features a K² Titanium frame, which is pretty rigid vertically (good for you), and moves with you horizontally (also good) so it doesn’t jerk you all over the place as you’re hiking. The frame also features a meat hauling load shelf, something you won’t find on traditional packs. Overall, this is the perfect “do-it-all” pack for your next hunting trip and trips for years to come. The Raven pack from Free Range is built with ski touring in mind and stood out from the crowd because of its light weight, easy access, and durability. It comes in at just 21 oz and carries 25 liters worth of gear. The lightweight material doesn’t mean they sacrifice on durability, though. The Raven pack can take the harsh terrain and weather with the best of them. The back panel of the pack is the only large access point to the main compartment of the pack, so there is no risk of losing your main gear in the event of a nasty fall. There is also a small quick access pocket on the top of the pack. The front of the backpack features a diagonal ski carry, which we found you can easily clip any skis into in seconds. 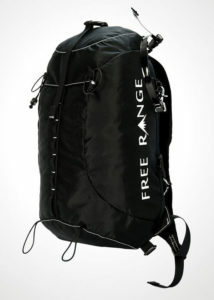 For any ski mountaineers out there, you can’t go wrong with the Free Range Raven pack. It’s important to know that your torso size, not your height, determines the pack size you need. Check out the diagram and instructions below from our friends at Hyperlite to figure out the pack size for you. Make sure to grab a friend to help you measure! Strength is super important when it comes to choosing the right hiking pack. The material has to be able to handle all different types of gear. We tested several packs and also looked at other independent studies to gauge durability, longevity, and likelihood of tearing. Any packs that failed those tests did not make our list. The weight of your pack can make or break your trip, which is why you saw so many lightweight packs on our list. We looked at what the total weight of the pack, as well as all of the removable and addable components for each, which can sneakily add a lot of weight to the final product. Strap padding – on the shoulder straps, hip belt, and other straps. Hip belt fit – super important for weight distribution, as you want most of it off your shoulders. Back padding – material, thickness, and option to be removed. Camping backpacks these days come with all sorts of features. We made sure that these features were a valuable addition to the pack as we were considering all of them. Below are a few of the common feature categories that appeared in our research consistently. Pockets – location, size, material, etc. The compression system on a pack is important to help you secure your gear and potentially attach anything externally to your pack. Each pack generally comes with three types of compression straps – vertical (from the top of the pack down), horizontal (along each side of the pack), and over the top (typically to secure the main compartment). You need to keep your clothes, food, sleeping bag, and other gear safe and dry when you’re camping or hiking, which is why water resistance is super important. We made sure each pack we chose stands up to the test, whether it’s rain, wind, snow, or some other weather event that you encounter on your next adventure. Last but certainly not least, we made sure that each hiking backpack we chose lived up to our standards for price and quality. After all, we want to make sure you’re getting the best backpack for the money. We weeded out several products where we felt like the quality didn’t live up to the price. Mike is our head researcher and reviews tools, sporting equipment, and a variety of other products.